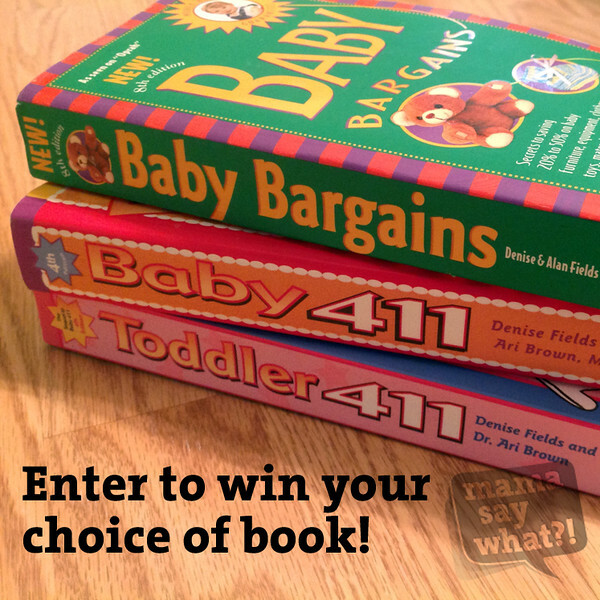 Baby Bargains, Baby 411 & Toddler 411 Review and a Giveaway! Mama Say What?! | Mama Say What?! When a friend of mine found out she was pregnant a few months back, she asked me for book recommendations. The very first thing I thought of for a newly expectant mama was Baby Bargains by Denise and Alan Fields. That thing was like a bible for me throughout my pregnancy in the midst of preparing for registering, nursery prep and any question involving what my baby might need. All three books are written in a very similar style – they’re funny and they’re real. Fields and Brown have a really great way of telling it like it is. Sugar coating will get you nowhere! I think I have similar parenting styles as these two mamas so I could definitely relate and agree with a lot of the advice they gave. Even if your parenting style is different from the “mainstream” (and I don’t think any mama fits into a cookie-cutter style 100% of the time), Fields and Brown yield thoughtful advice with a twist of humor that is never disrespectful or unkind to those who don’t share their opinion. Baby Bargains is a unique book in that it compares and gives short reviews for EVERYTHING baby-product related that is out on the market. Pee-pee Tee-pee? Pass. It’s a waste of money. A crotch-dangler baby carrier? That gets an F in their book. Better to invest in an ergonomic soft-sided carrier that will better support mama and baby. How much is a Maxi Cosi car seat going to set you back? They’ll let you know. How many onesies of each size will a new mama need? No worries, they’ll tell you. Baby Bargains has over a dozen chapters for every baby category you could imagine registering for. Feeding, Safety, Maternity Clothes, Strollers, Bedding, Baby Carriers, etc. For each category, they break down the top three or eight or 15 items and rate them on a letter grade scale, A+ to F. They’ll tell you what they think of each item paying special attention to safety and comfort. Baby 411 and Toddler 411 are written in a similar question and answer style. Baby 411 I got just before my first-born arrived and I referred to it every 18 minutes in the first year (or so it felt). Broken up into chapters like Discipline, Milestones, Toilet Training, Challenges and Sleep, Toddler 411’s 19 chapters have already given me some peace of mind. 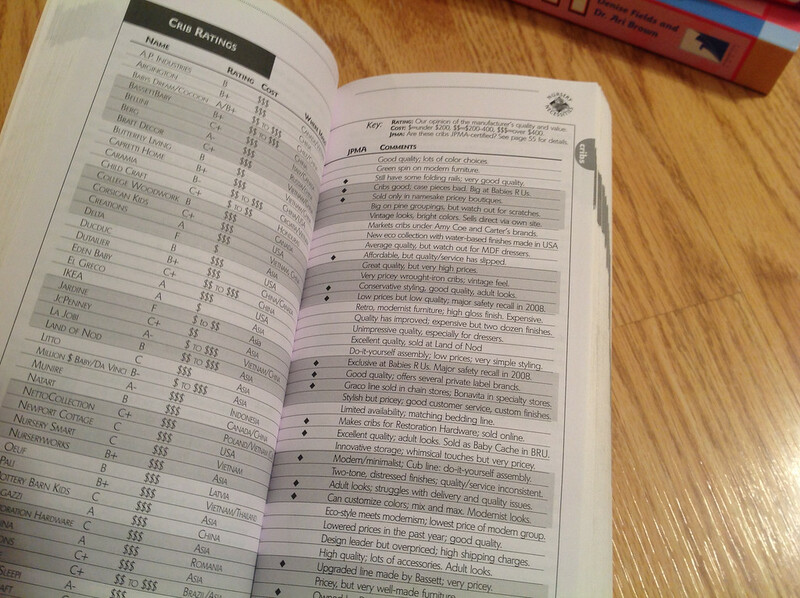 I’ve pretty much read it cover to cover, but have also used the index to refer to specific topics as they come up. Denise Fields and Dr. Ari Brown have been so generous to give away one of their books to TWO lucky Mama Say What?! readers! 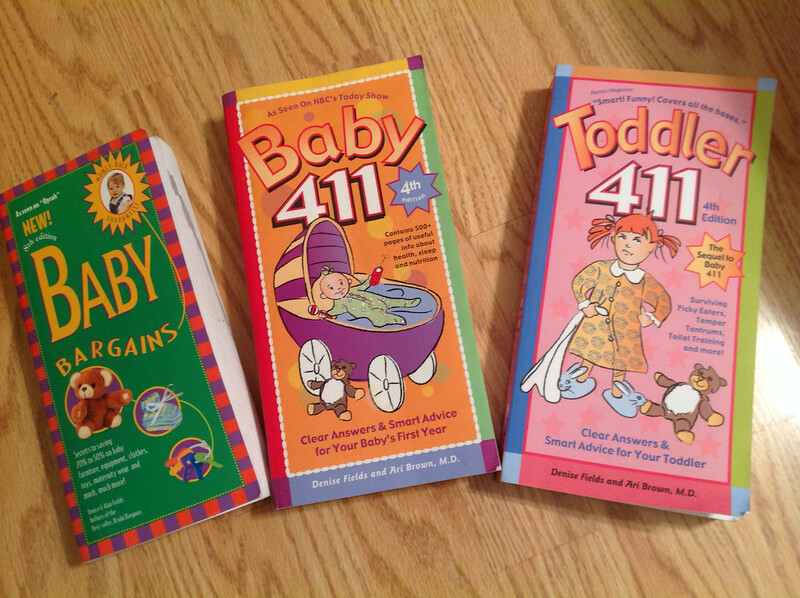 The winner(s) will have their choice of a new copy of Expecting 411, Baby Bargains, Baby 411 or Toddler 411. Enter below and good luck! Entrants must complete the first three entries to win. Entrants must be 18 years of age or older. Must reside in the USA. Contest begins on Wednesday, October 29th and ends on Tuesday, November 4th, 2014 at 11:59 PST. Winner must respond within 48 hours of being chosen. Please check your inbox or spam folder for an email from giveaways@mamasaywhat.com or maryellen@mamasaywhat.com. Added by MaryEllen M. on October 29, 2014. 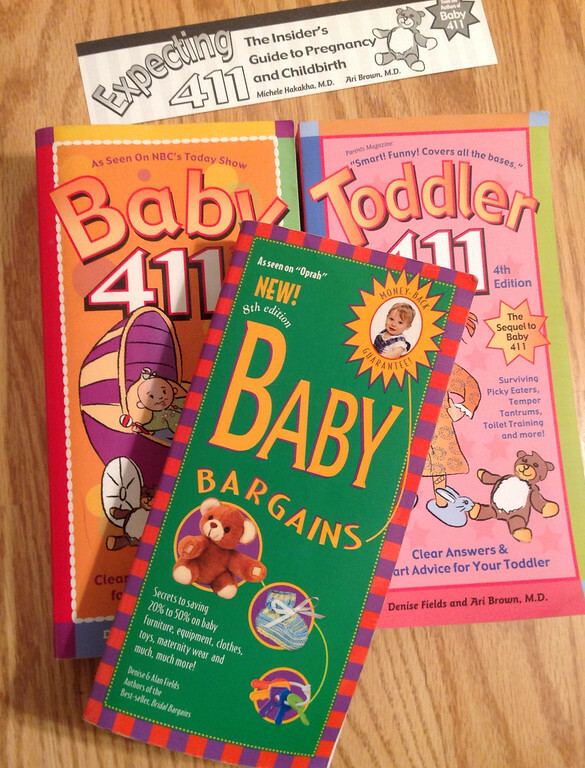 9 Responses to Baby Bargains, Baby 411 & Toddler 411 Review and a Giveaway! I borrowed a friend’s copy of Baby Bargains when I was pregnant the first time. All the decisions make preparation for a little one daunting! Baby Bargains was a life saver. Could really use some guidance now as we are in the midst of toddler craziness! Toddler 411 is my top choice! I already have Baby Bargains, so I’ll pick Baby 411! Baby bargains is a great book! Found it by accident and it is such a help for a new expectant mom/dad. I’m sure the Baby 411 would really help us also. Baby 411 would probably be my number 1 choice! Toddler 411 would be great to have!